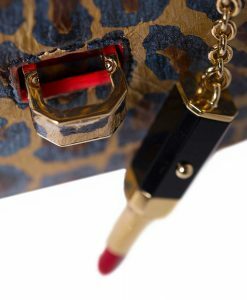 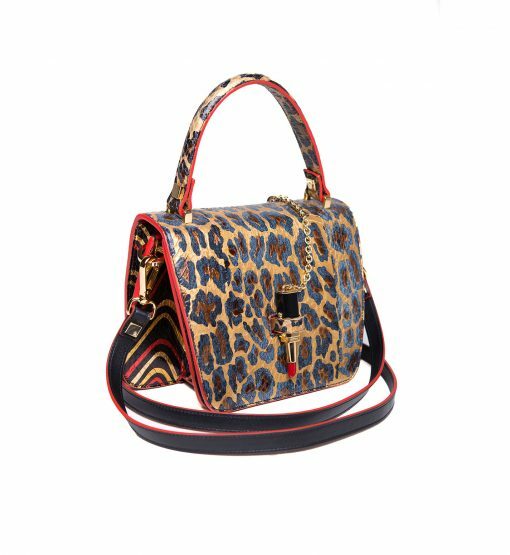 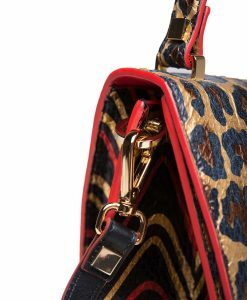 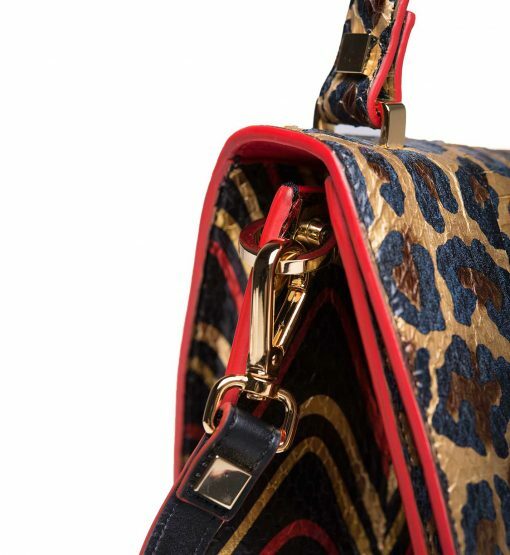 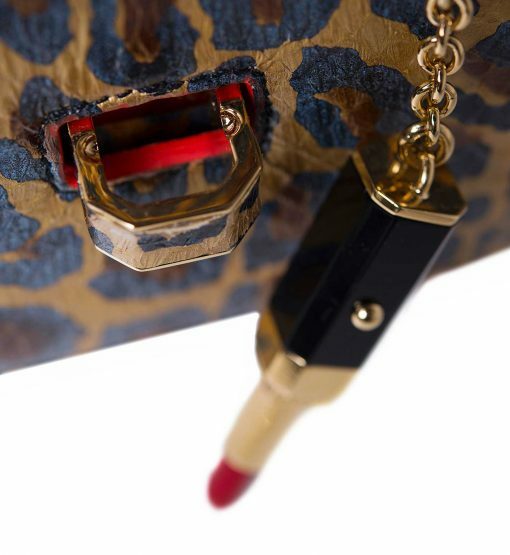 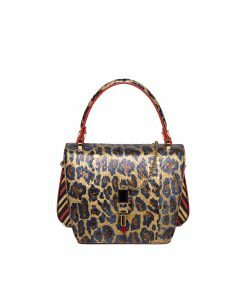 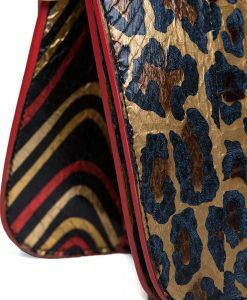 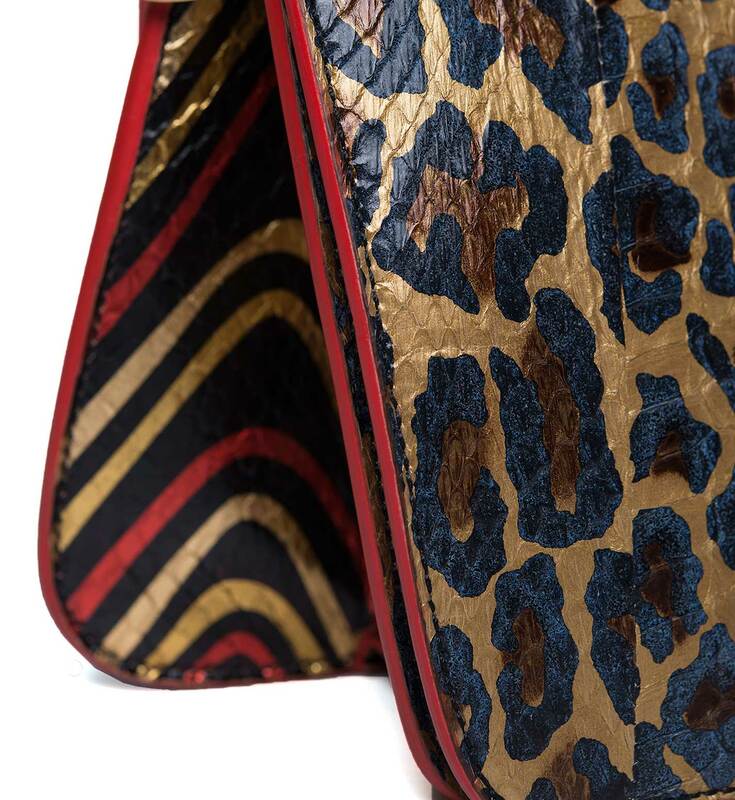 Expertly crafted in Italy from elaphe snake leather, Giancarlo Petriglia’s iconic Mini Queen bag is accented with red lip-stick chain closure. 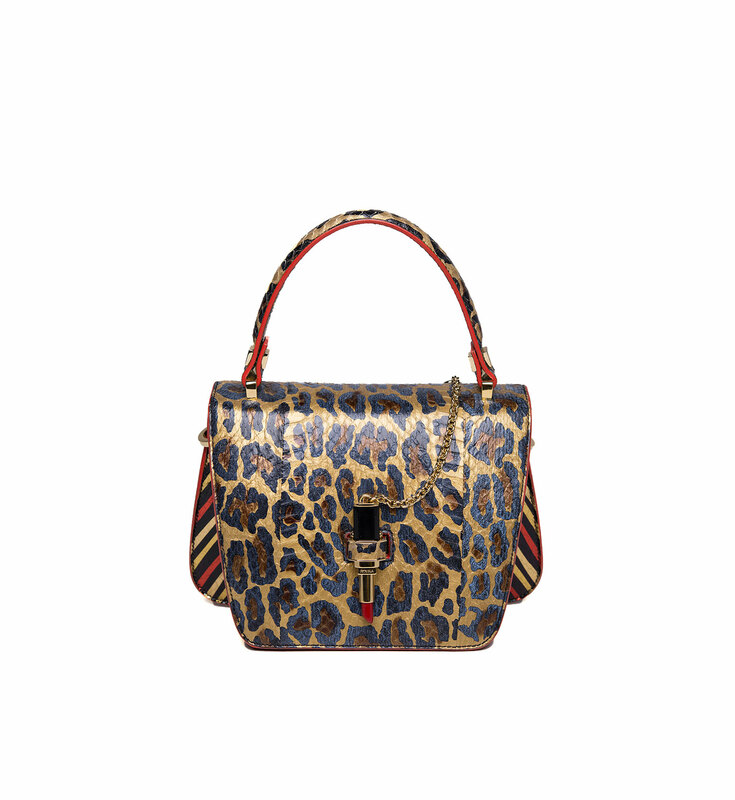 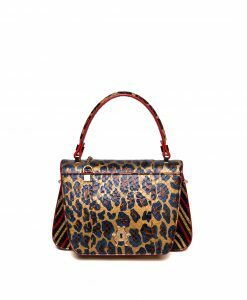 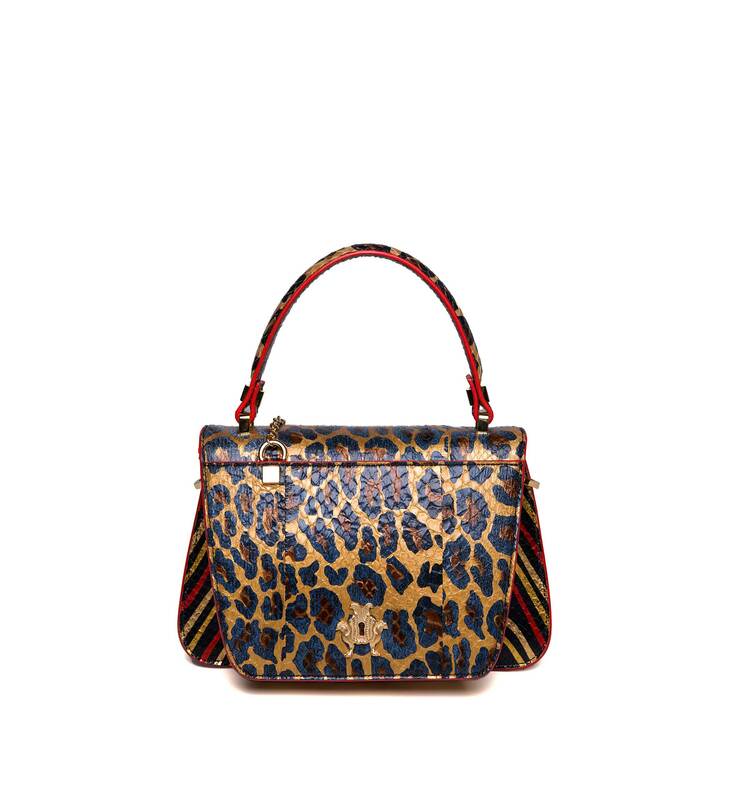 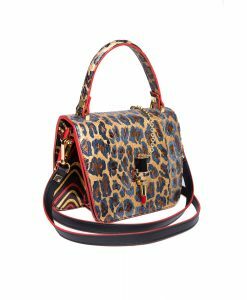 This season the designer keeps the trendiest leopard print. 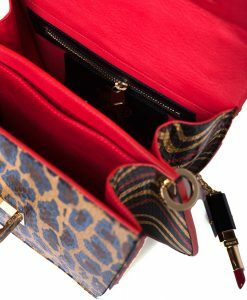 Contrast red interior is divided into two compartments to hold your essentials in order. 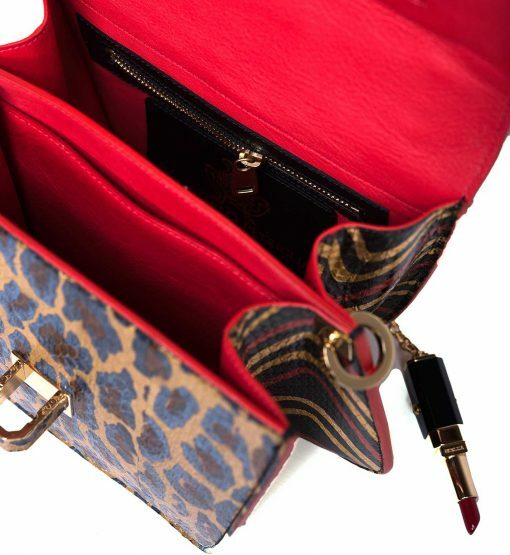 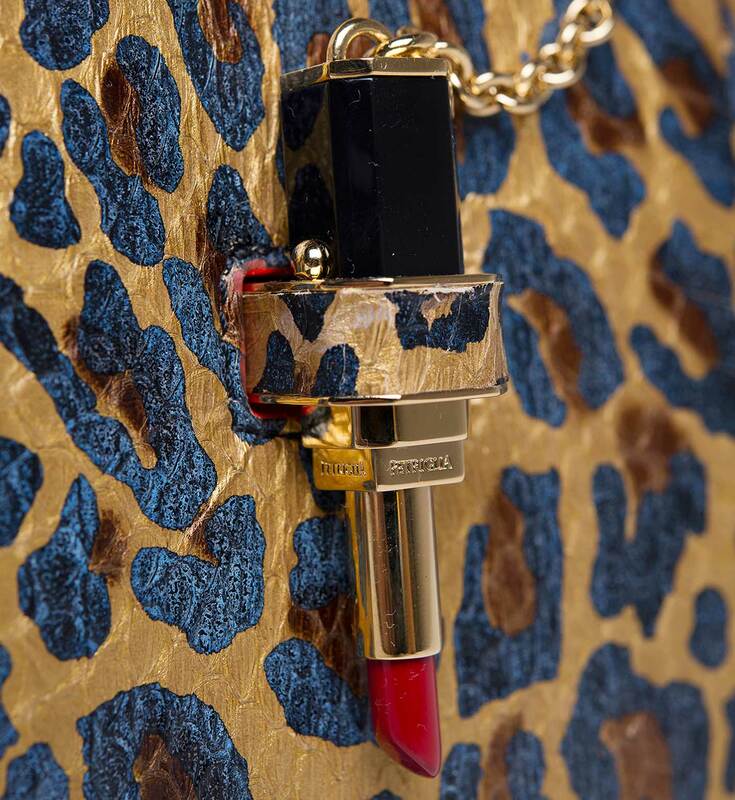 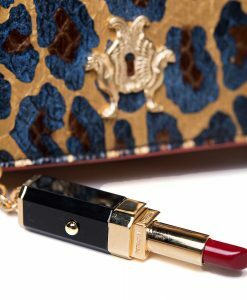 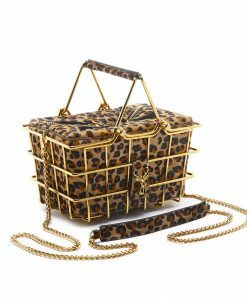 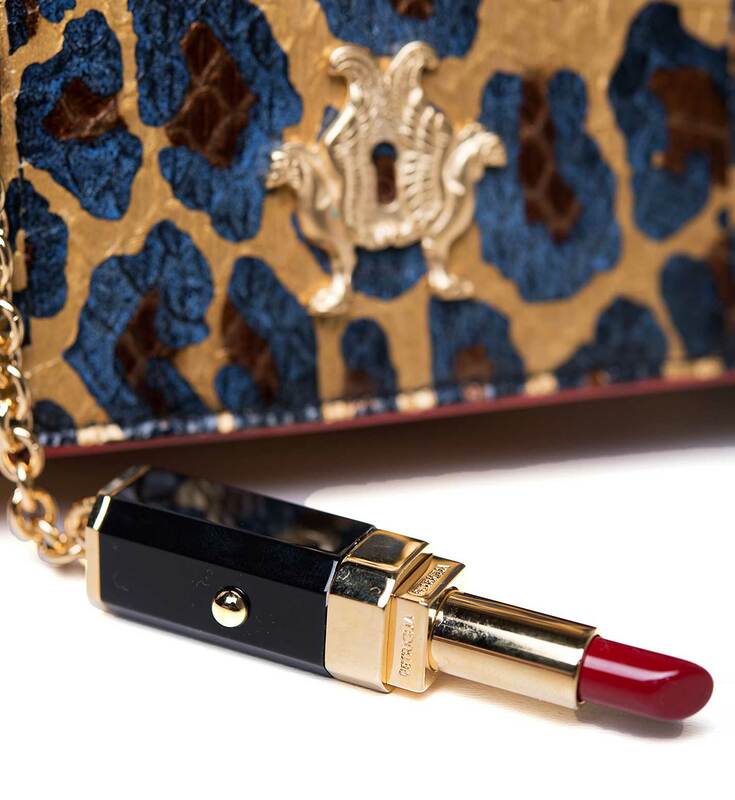 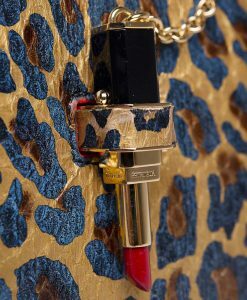 Queen Lipstick top handle bag has also a secret mirror inside to correct your make-up anytime everywhere. Detach the leather shoulder strap to carry yours in-hand.